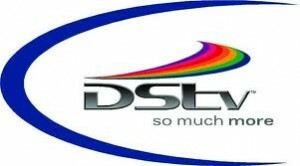 Pay TV subscriber, MultiChoice which provides DStv, has reduced the prices on their decoders as the festive season sets in. Effective from November 21, has announced that the high-definition decoder Explora would cost Shs 515,000 (decoder only) with a full installed kit, down from Shs 965,000. A full kit for the standard definition decoder will now go for Shs 279,000, from Shs 327,000. The promotion was meant to enhance viewership, said Bryan Muwonge, DStv’s marketing manager. “We know there is competition but this is for the festive season. We believe the festive season can be fun-packed with many interesting programmes to watch. The Explora will ensure our customers do not miss out on any of these interesting programmes,” he said. Is Translation Tech Really ‘Breaking Language Barriers’?